A very simple article that breaks down your typography library to four main classifications, and defines each one by its main characteristics. With visual examples, it’s very clear and helpful specially for students and people who are not familiar with typography. Make sure to read that last paragraph cause totally agree that those fonts are overused! Typefaces come in all shapes and sizes, and much like smells and sounds, have the power to conjure emotions, meanings, and correlations. But instead of being paralyzed by the overwhelming number of typefaces in your drop-down menu — or worse, inadvertently misrepresenting the information with an uninformed typeface choice — peruse the following guide to help navigate these sometimes confusing waters. The contents of a typography library can be broken down into four primary classifications: serifs, sans serifs, scripts, and decorative typefaces. Before delving into the sea of available typefaces, start by understanding the types and generally accepted uses of each classification. Decorative (also known as ornamental or display) typefaces typically fall into the serif category due to their highly ornamental nature. 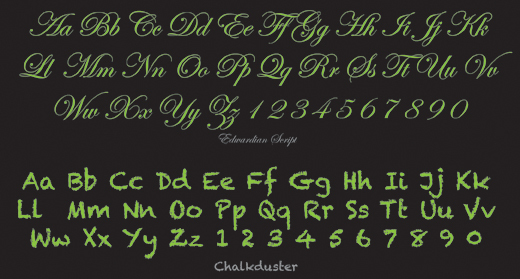 As their name indicates, they are highly decorative and best used to create or reinforce design styles and themes in large sizes (such as headlines). Their otherwise unique letter shape can be refreshing and attention getting. They can also be used to mimic the emotions and aesthetic of a specific genre or time frame. 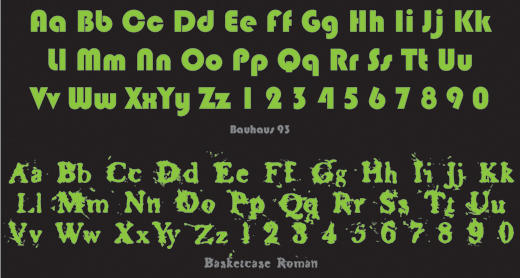 However, the intricate strokes often used to create these typefaces make them undesirable for use in large amounts of text or at smaller sizes, and therefore are not ideal for body copy. Avoid using highly decorative typefaces in news or business reports, as they tend to detract from the neutrality for which most organizations strive. Be wary of over using a decorative typeface, or choosing a one inappropriate to the subject matter. When choosing typefaces its important to keep in mind the established conventions for the medium at hand. This is not to say that conventions cannot be broken — after all, design s all about breaking rules — but its important to know what the rules are before breaking them. Websites and online projects require a typeface’s compatibility with the largest common denominator of computers, which usually necessitates the use of otherwise familiar or commonly used typefaces. As such, web standards have been quickly been defined with the use of a sans serif for body copy paired with a serif, script, or decorative typeface for headlines and subheads. The opposite can be said for print pieces. It has become the collective opinion of most designers that the smooth arc and small leading lines of serifs helps the eye move comfortably through large amounts of text, and as a result, the serif has become the champion of body copy. In recent years, studies have proven that though serifs are not necessarily easier to read, rather our eyes are trained early on to believe they are. From this point the classic nature versus nurture paradox exists. Whatever the case, serifs remain the universal choice for body copy. To further customize or illustrate your intent, try playing with variations of weight (regular, medium, bold, heavy), width (narrow, condensed, extended), italics, outline stroke, and color. 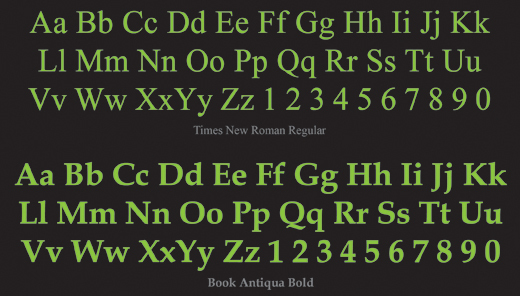 The adjustment of any of these components can severely alter the visual cues your typeface relays to the reader. Finally, and this can never be said enough — think twice before using the following typefaces: Comic Sans, Curlz, Papyrus, and Times New Roman. This is not an editorial on their quality or usefulness in the proper context. When observed in a vacuum, each font has its merits. Unfortunately, the designer needs to account for all external influences and these fonts have been overused to the point that even the most unobservant passerby can probably identify them by name. The last thing a designer wants when presenting information is to allow the message to be obscured by the typeface. 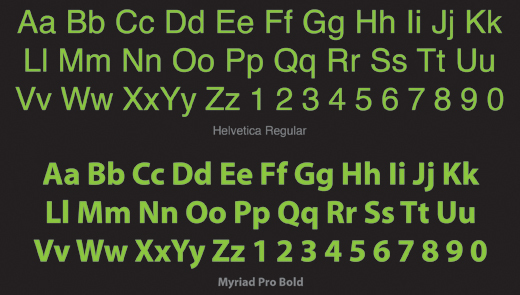 When choosing typefaces, classifications and best practices should merely be a guide to jumpstart the creative process. Good Luck!